Every great villain has a collection filled with their greatest feats of evil. Stolen art, vast amounts of wealth, maybe even a frozen Han Solo, but the most elusive piece is of course, the Batman. 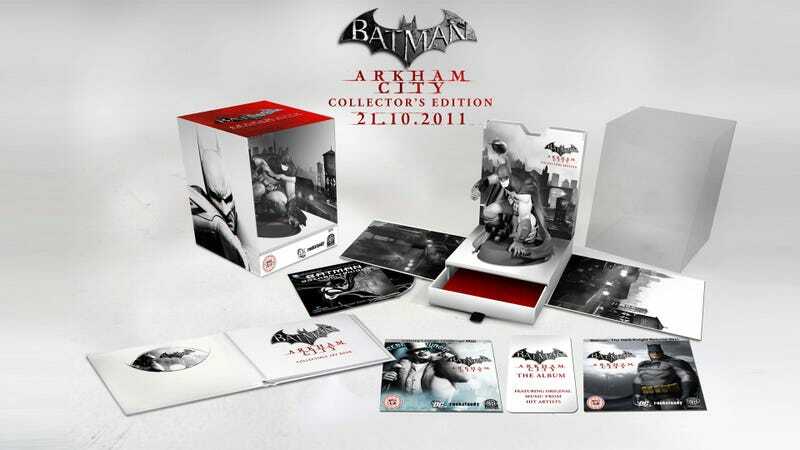 Now your personal collection can be complete with the Batman: Arkham City Collector's Edition. Included in the collector's edition is a custom Batman statue, collectible art book, early DLC access, the Batman: Arkham City soundtrack, the DC Universe animated original movie Batman: Gotham Knight and four collectible cards. For $99, you'll be the envy of every evil doer in Gotham City.